APS Industrial is a locally owned and managed technology partner formed by experienced leaders in the local industry and incorporates the existing businesses of Ramelec and HiTech Control Systems. Together these two companies have been successfully servicing the electrical needs of customers in Australia for over 20 years. Partnering with the world’s leading technology companies, APS Industrial offers Australian customers the broadest portfolio of industrial low and medium voltage electrical and automation products within the region. Central to this customer promise is access to the full and comprehensive line of Siemens Industrial Automation products and solutions which APS Industrial offer exclusively as master distributors of the range in the region. APS Industrial also have key distributor partnerships with Weidmüller, Rittal, EPCOS (a TDK Group company) and KATKO. At APS Industrial, we’re the gateway that connects the world’s leading industrial manufacturers to the local industry. We’re committed to offering our customers an experience that is consistent and reliable as we together create solutions that power Australia. Our expertise, experience and scale allows us to seamlessly adapt to your needs and industry trends. Our job never ends and we pride ourselves on our full cycle service and support. Our desire to help our customers drives our competitive nature as we strive to ensure we collectively succeed. In all that we do, our commitment to our valued customers is our promise. APS Industrial was founded by experienced local industry leaders to build a technical distributor providing the highest service and the world’s leading technology and quality to local industry. APS Industrial is building on a long history of industrial distribution though acquisitions of long standing Siemens distributor partners. We’re focused on serving our customer’s outcomes and interests, our employee’s careers and well being and our manufacturer’s success in the key markets we serve. APS Industrial is headquartered in Melbourne and has a national network of offices in Adelaide, Perth, Sydney and Brisbane – all supported by strategic local stockholdings and expert technical and application knowledge. 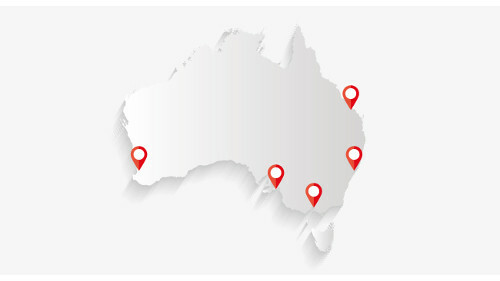 In addition to branch locations in major capital cities across Australia, APS Industrial is investing in extending this national footprint through further locations in the near future.